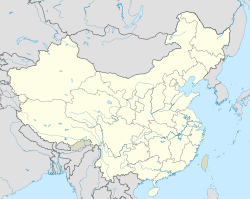 Gubeikou (Cheenese: 古北口; pinyin: Gǔběikǒu; leeterally: "old north mouth") is a toun o Miyun Coonty in northeastren Beijing, borderin wi Luanping Coonty, Hebei tae the north an the Beijing touns o Gaoling (高岭镇) tae the wast, Xinchengzi (新城子镇) tae the east an Taishitun (太师屯镇). The aurie is ane o the important passes o the Great Waw o Cheenae, servin as a auncient chokepoint for travelers atween the Northeast an Beijing. As o 2011[update], it haed 4 residential commonties (社区) an 9 veelages unner its admeenistration.